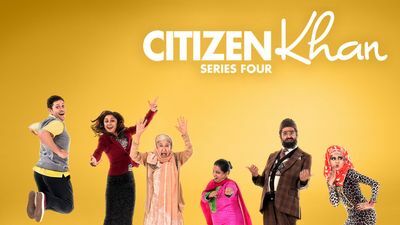 Here's where to watch every episode of Citizen Khan season 4. Mouseover or tap an episode to see where to stream it. Click or tap the play icon to stream it on the best available service. Farley Manor Oct 30, 2015 Mr Khan gets into a state at a stately home, when Naani takes the law into her own hands. Family Photo Nov 6, 2015 Mr Khan bites off more than he can chew when he takes on a new role as a lollipop man, and a family photo opportunity causes friction between sisters Alia and Shazia. Local Hero Nov 20, 2015 Mr Khan tries to win a Pride of Birmingham award, which leads to an altercation. Chicken Shop Nov 27, 2015 Mr Khan decides to invest his and Mrs Khan's pension money in a fried chicken franchise. Mystic Mo Dec 4, 2015 While teaching Baby Mo to play cricket, Mr Khan discovers his grandson might be psychic. Alia's Boyfriend Dec 11, 2015 Mr Khan enters the Great Sparkhill Bake Off. Meanwhile, Alia gets a boyfriend. Mr Khan's Christmas Wonderland At the Winter Wonderland, Mr Khan finds himself re-creating an iconic festive scene.